Timing is everything. But we don’t know much about timing itself. Timing, it’s often assumed, is an art; in When, Pink shows that timing is in fact a science. Drawing on a rich trove of research from psychology, biology and economics, Pink reveals how best to live, work and succeed. How can we use the hidden patterns of the day to build the ideal schedule? Why do certain breaks dramatically improve student test scores? How can we turn a stumbling beginning into a fresh start? When should you have your first coffee of the day? Why is singing in time with other people as good for us as exercise? And what is the ideal time to quit a job, switch careers, or get married? 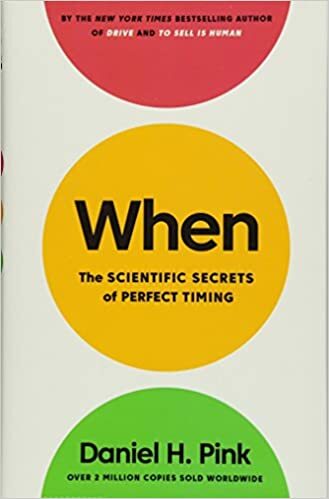 In When, Pink distills cutting edge research and data on timing and synthesizes them into a fascinating, readable narrative packed with irresistible stories and practical takeaways that give readers compelling insights into how we can live richer, more engaged lives.